Bob was educated at Emanuel School in Battersea before embarking on his accountancy career, joining a small firm of Chartered Certified Accountants in Earls Court, London. Having obtained a thorough grounding in basic accountancy techniques there, he moved on to a firm in Holborn, where he reported direct to the principal and took on responsibility for overseeing the work of junior staff. After some time he saw the light and decided to improve the quality of his family’s life with a move to East Anglia. After qualifying as both a Chartered Certified Accountant and Chartered Tax Adviser, he became the manager of a new office in Bury St Edmunds for a firm of Chartered Accountants, which he ran for a number of years before setting up his own firm with Robert Allen and Brian Bell. He is a consummate professional and excellent tactician, still getting enjoyment from being able to use his considerable experience and skills to help clients overcome their problems and steer them in the right direction. 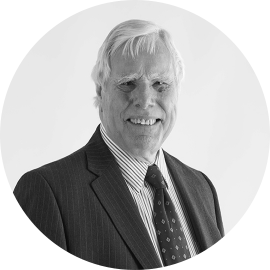 Equally at home with basic compliance, business advice or negotiating with HM Revenue & Customs, Bob adopts a very down to earth approach and you will find him straightforward and clear in his advice. Having stepped down from managing that practice when the current firm was created in 2006, he now has considerably more freedom to indulge in his passion for overseas travel and is taking full advantage of that; “I haven’t seen every continent yet, but I am determined to keep exploring more places in this fascinating world of ours.” Food and gourmet cookery are his other keen interests, so he and Keith have recently indulged in some high level cookery tuition at Ballymaloe in Ireland, under the watchful eye of Darina and Rachel Allen (see the pictures on our achievements page and contemplate whether it was only the cooking that attracted their interest!). “Before you all rush to book up for dinner, we do know the world of difference between doing this for fun and the pressure of being a commercial chef, and this is strictly for relaxation!” So, enjoy your food, bon appétit, buon appetito, que aproveche, genießen sie ihr Essen, or even あなたの食事を楽しむ.